The head of the opposition research firm that is behind the Trump dossier is linked to a secret campaign aimed at undermining the Magnitsky Act, a law that places sanctions on Russian criminals and is vehemently opposed by the Kremlin, The Daily Caller can report. According to Browder, Simpson, a former Wall Street Journal reporter, is working with a former Russian counterintelligence officer named Rinat Akhmetshin to destroy the Magnitsky Act, which is named after Browder’s late lawyer, Sergei Magnitsky, and was signed into law in Dec. 2012. “Glenn Simpson knowingly spread false information on behalf of people connected to the Russian government to try to protect Russian torturers and murderers from consequences,” Browder alleged in a phone interview from his office in London on Friday. “Glenn Simpson’s job was to knowingly and dishonestly change the narrative of how Sergei Magnitsky came to die from murder to natural causes, and to change the narrative that Sergei Magnitsky was a criminal and not a whistleblower,” said Browder, who serves as CEO of the investment firm Hermitage Capital. Simpson and Fusion GPS were first linked to the anti-Magnitsky effort last month. Politico reported then that Fusion GPS acknowledged that it was hired by the law firm BakerHostetler to dig up dirt on Browder. BakerHostetler was in turn working on behalf of Denis Katsyv, a Russian national who owns a company called Prevezon. The company is currently the subject of a U.S. federal grand jury investigation based on evidence uncovered by Magnitsky. The Justice Department has frozen $14 million in Prevezon’s assets as part of its investigation. In his book, “Red Notice: A True Story of High Finance, Murder, and One Man’s Fight for Justice,” Browder lays out the circumstances surrounding Magnitsky’s death. Browder was once an ally of sorts with Russian president Vladimir Putin. The pair benefited — Browder financially and Putin politically — by going after corrupt Russian oligarchs. But after Putin became a business partner to many of the oligarchs, the former KGB officer turned against Browder. At the time Russia’s largest foreign investor, Browder was deported from the country in 2005. Magnitsky, who helped Browder investigate many of the corrupt Russian firms, was arrested in Nov. 2008 and accused of engaging in fraud and tax evasion. 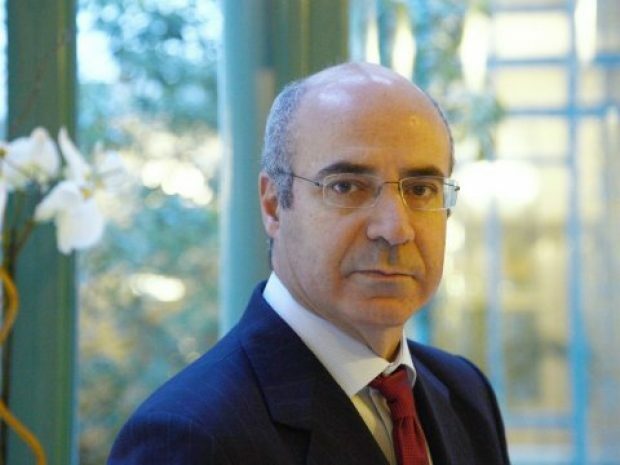 Magnitsky was tortured for months in a Russian prison and deprived of medical treatment, all in order to elicit a false confession that he and Browder were engaged in fraud and tax evasion, Browder has alleged. After Magnitsky’s health deteriorated, he was transferred to another jail. There, the lawyer was allegedly beaten with blunt objects by prison guards. He died on Nov. 16, 2009 at the age of 37. Soon after his friend’s murder, Browder began lobbying American lawmakers — Maryland Sen. Ben Cardin and Arizona Sen. John McCain, in particular — to pass a law that would provide a mechanism to punish Kremlin-linked Russian criminals. The effort paid off in Dec. 2012 when President Obama signed the Magnitsky Act into law. Simpson’s work to undermine a bill opposed by the Kremlin adds another layer of mystery to the Trump dossier story. The 35-page document, which was published by BuzzFeed on Tuesday, includes unverified information alleging that Russian intelligence officials have blackmail material on Trump. The author of the dossier was identified on Wednesday as former MI6 officer Christopher Steele. Steele, who operates a private intelligence firm based in London, reportedly paid Russian contacts to provide information about Trump. As The New York Times reported, a major Republican donor hired Fusion GPS in Sept. 2015 to dig up dirt on Trump. But as Trump ascended to the GOP nomination, the donor backed away from the project and Fusion GPS found a Hillary Clinton supporter to continue the project. Fusion hired Steele seven months ago, The Times reported. The former spy eventually shared his dossier with the FBI and the British government. Meanwhile, Fusion GPS appears to have shopped the dossier around the Washington D.C.-based reporters around the election. Politico appears to have referenced the dossier in its report last month, stating that Fusion “also discussed information with journalists about Trump and his associates’ ties to Russia.” A BBC reporter also reported this week that he was provided the dossier by the firm just before the election. Browder has accused Simpson, Akhmetshin, BakerHostetler and others of failing to register as lobbyists under the Lobbying Disclosure Act and the Foreign Agents Registration Act. He also says that the lobbying disclosures that have been filed are incomplete and misleading. He lodged a complaint with the Justice Department on the matter in July. The complaint notes that Akhmetshin and Katsyv earlier this year created a Delaware-based non-profit called The Human Rights Accountability Global Initiative Foundation (HRAGIF). Browder alleges that the organization serves as a front to surreptitiously lobby against the Magnitsky Act. 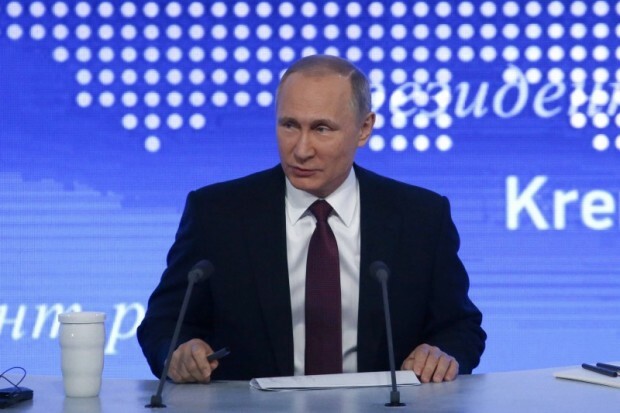 Adoption cases are linked to the Magnitsky Act because of Putin’s response to passage of the law. The autocrat enacted a ban against American citizens adopting Russian children. Though adoption was the reason that Akhmetshin and HRAGIF gave for their lobbying work, Politico provided independent confirmation that the Magnitsky Act was the true focus of the campaign. The website reported that a lawyer for BakerHostetler briefed congressional staff ahead of a vote to expand the law globally. In another article, Politico reported that in May, Akhmetshin visited the offices of California Rep. Dana Rohrabacher, a Republican who has long admired Putin. Akhmetshin’s visit came a day before the House Committee on Foreign Affairs was set to consider the Global Magnitsky Act. Akhmetshin acknowledged to Politico then that he is a former Russian counterintelligence officer. The ex-spy did not respond to TheDC’s request for comment for this article. Not much is known about the former spook, who was affiliated with GRU, Russia’s main intelligence directorate. A longtime Washington, D.C. lobbyist, he was accused in a 2015 lawsuit of hacking into the computers of International Mineral Resources. The company at the time was involved in a $1 billion lawsuit with EuroChem Volga-Kaliy, a Russian fertilizer company. As for Simpson, Browder alleged in his DOJ complaint that the reporter’s anti-Magnitsky push involved digging into his deep network of journalistic contacts. TheDC was unable to independently verify that Simpson contacted the reporters on the issue. The Justice Department declined to comment on the status of Browder’s complaint. Fusion GPS did not respond to requests for comment.